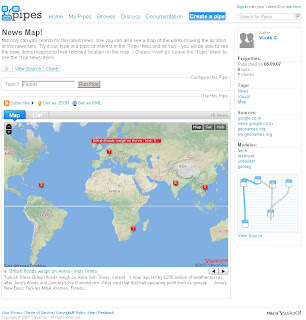 Picasa Mapplet Search - Google MyMaps New! The size of the images you can upload - from 10MB to 20MB per image. Mac Version of "Picasa Web Album Uploader"
Get Geotagging your photos and share where you have been. "London, UK – Nokia today introduced Ovi, the company’s new Internet services brand name. With the introduction of Ovi, Nokia is expanding from a focus on mobile devices to offering a range of Internet services. Ovi, meaning ‘door’ in Finnish, enables consumers to easily access their existing social network, communities and content, as well as acting as a gateway to Nokia services." Also under the Ovi umbrella is Nokia Maps, a navigation service that offers maps, city guides and more directly to compatible mobile devices. Nokia aims to bring more Internet based services to Ovi in the coming months. The amazing Flash Earth is a great application on itself. and it becomes a very useful and powerful resource for users to compare areas where imagery and digital coverage is 'blurred'. 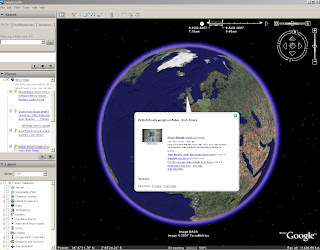 Even Google Earth Rotation is maintained when the Flash Earth is activated inside Google Earth. "What if the current view in Google Earth was quickly viewable in other maps, such as those made accessible by FlashEarth? Well, now it is. As you move around the globe a little white arrow follows you around, simple click it to get an approximation of the current view in FlashEarth in a popup balloon." Total credit to Valery35, for the concept (including a screenshot) on the Google Earth Community and to all the people made all the bits that could be pieced together in this 15min hack. 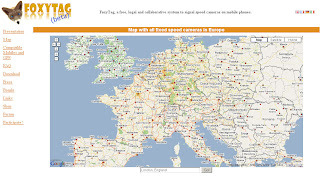 FoxyTag signals fixed and mobile speed cameras, data is updated every 5 minutes, the system works worldwide and is free. "FoxyTag is entirely collaborative (it is the users that post tags) and does not require any central operator to filter and validate data (it is done automatically). FoxyTag is a testing lab for future technologies and its main capital is its number of users." Like Tetris but with geographical regions as blocks and your knowledge of these different regions. Tip - Start of easy and be fast with the cursor arrow keys! Specifically built for the UK Market. So it's waterproof! 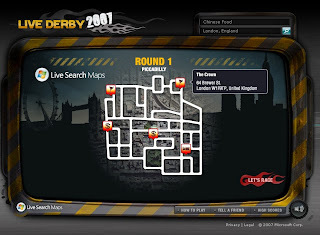 No computer is needed, just insert a map (SD Card) and go. containing high quality maps supported by Ordnance Survey. The intelligence of the active10 makes finding your way simple. 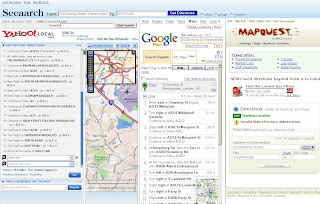 A simple USB cable is all you need to connect to the Internet to download maps or share your favourite routes. 18 different titles, each one giving you all the 1:25,000 EXPLORER and 1:50,000 LANDRANGER maps on the trail making sure you stay on track. LANDRANGER map giving you the freedom to roam throughout your region. focus on your favourite county. An internal electronic compass that works just like a standard hand-held compass. Automatically records route data so you always know how you are doing. Does is export to KML? Can you add your own mapping? 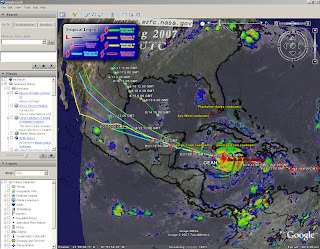 Google Sky Earth (inside Google Earth) New! Google Earth release 4.2, video is supported! 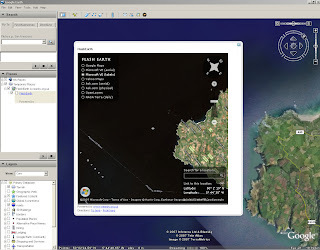 Google Sky is an addition to Google Earth New! You will need to download the newest version of Google Earth to use it. The Google Sky button is here on the new version. A nice and easy way to find Satellites to receive TV programmes. now with Elevation, Azimuth, and LNB Skew New! "For all DIY satellite enthusiasts and satellite installers this is a very useful and genuine "
Enter a valid address then the click Go! 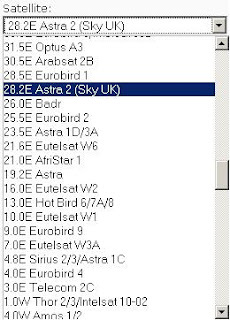 Sky is Default and there is a huge list of other satellites available. Update 21.08.07: The elevation and LNB skew calculation results just underneath the map. These are calculated and displayed in real time as soon as you move the marker or change the satellite. "Today we're excited to announce a new feature on Google Maps that allows you to add maps to your blog or website just by copying and pasting a snippet of HTML. And once you embed the map, it has all the same functionality of the Google Maps you know and love; it's clickable, draggable, and zoomable." So you can make your maps and post them out there and make more widely available. The storm has reached Category Five, the highest strength, with winds of up to 160mph (255km/h). Dean is now forecast to slam into Belize and the east coast of Mexico's Yucatan Peninsula, including the popular tourist destination of Cancun. meteorological reports the storm could intensify into a Category Five hurricane in the next few hours. "Dean is now expected to pass close by the low-lying Cayman Islands, before hitting Mexico in the coming hours"
"Winds 131-155 mph (114-135 kt or 210-249 km/hr). Storm surge generally 13-18 ft above normal. More extensive curtain wall failures with some complete roof structure failures on small residences. Shrubs, trees, and all signs are blown down." There is potential for this hurricane to be upgraded to category 5...eek!
" Dean is now over very warm water and in an ideal situation to strengthen further." View live updated content for Hurricane Dean with predicted courses based on category (currently 4). 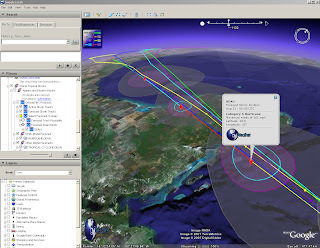 The KMZ for Google earth comes with more information. Exclusive - Reverse Geocoding using Google Maps API only! Exclusive - ALL New! Reverse Geocoding using Google Maps API only! "The conversion of latitude and longitude coordinate data of locations into descriptive addresses"
Thanks to Nico Goeminne for finding this algorithm and giving Mapperz the chance to suggest and give exclusive feedback on this incredible function. Please use it - suggest comments, feedback always welcome. "Google Maps is great! One day I was working on a treasure hunting game, it combined both real world as virtual items placed in and around the very nice city of Ghent (Belgium). At regular times I told them the location (GPS) of an item, so they could go out hunt. Some of them complained because they didn't have a GPS and couldn't find an online tool to convert the GPS coordinates to an address. "No problem I said, I'll fix one up", at that time I did not cross my mind that GM couldn't reverse geocode since before all things I ever needed were just there in that great API. So I was kinda disappointed when I read trough the documentation and even more when I searched the net on the subject. So in the end, I decided to give a try myself and see if I could figure out something and then I stroke me : The GM API has reverse geocoding capabilities. They just call it Driving Directions! Google Maps is great! " Thanks and all credit to Nico - Excellent Job! This stores as many geocoded addresses as you want and then can be copied out to spreadsheet. 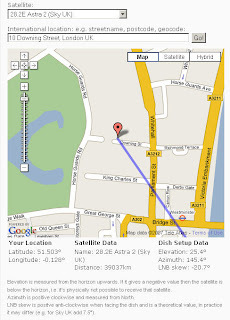 *Note on the accuracy on the geocoded addresses, it can be up to 150 metres out in any direction. 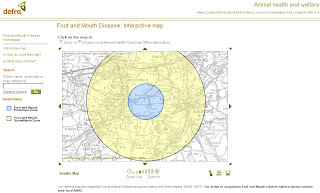 * When a result is generated it has a default zoom extent, or view. The default view is from an overhead perspective. You can capture a new view by moving and/or tilting to a new perspective, then using the result property sheet to capture the new view. The view property is persisted with the result. 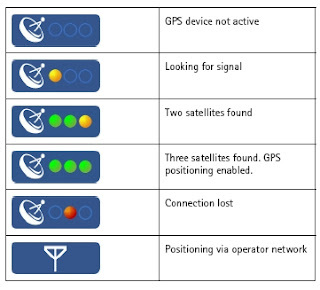 Navigation with ArcGIS Explorer has been enhanced in the following ways. Observer Elevator Movement: By default, zooming in and out on the map using the mouse or keyboard will zoom relative to the target location. Holding down the Ctrl-key and using the + and – keys will change the observer elevation. This is similar to traveling up and down in an elevator. This type of movement is useful for viewing vertical features in your map at differing elevations. Zooming to Cursor Position: Zooming to a location on the map has been enhanced by zooming to the mouse pointer position. You can still zoom to the center of the map by holding down the Ctrl-key while scrolling the mouse wheel. Zooming out always occurs from the center of the map. Look Replaces Pan at Tilt Angles Larger Than 45 Degrees: In previous versions of ArcGIS Explorer, double clicking on the map when viewing the map tilted beyond 45 degrees would center the clicked location. This often changed the distance from the observer location to the target. Now when the map is tilted beyond 45 degrees, a double-click will use the Look functionality, changing the observer's view without changing the observer position. To get a subsurface view of the earth, tilt your map then hold down the Ctrl key and use the + or - keys to move straight down below the earth or to move straight up. Access to the Navigator is easier; the target area which maximizes the control has been made larger. The performance of opening servers publishing services in multiple sub-folders has been improved. Stars now appear as different sizes and are centered at the observer position to illustrate their correct location, providing a more realistic appearance for the sky and globe. The keyboard shortcut which closes the application is now Alt-F4 to adhere to standard shortcut conventions. * New Find Address task replaces the previous Find Address task found in earlier builds. The new task provides the capabilities to enter address or place in a single input from which it will be parsed and matched. Map Seeaarch - but who wins? Though a quick test reveals a clear winner. note: moving the columns is possible to show each one more clearly. So there a quick and effective test. When Planning a route, whether it is in the UK, Europe or any other part of the world, don't just rely on one solution. The AA Travel Planner is more effective than any of the above in the UK. The driving times are more accurate and the congestion travel information is more up-to-date. 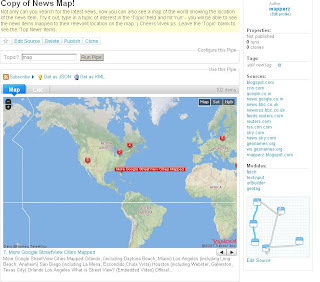 Finally a Yahoo Pipe that uses a map to visualize the found results. 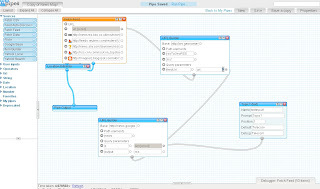 Though there were not many feeds to the Map - The useful thing with Yahoo Pipes is that when it is published it is available to public and 'Copies of' can be created (sign in to yahoo required). Add RSS feeds is very easy to apply - use the + icon on the url feed. But the clever thing about this pipe is that it is using a normal rss feed then using geonames.org to apply a latitude and longitude to the rss feed > therefore creating a georss feed. 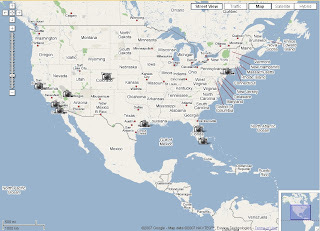 This is then overlayed on a yahoo map showing the locations around the world. One final point, you can export the results to KML and view in 3D using Google Earth. One helpful scenario would be if you were looking for a new house and you can request different estate agents and overlay and view the surrounding area. A nice implementation 'in progress' using free data. A positive move to community based mapping and you can see the results from this map. The Cycle Map is based on data from the openstreetmap project. At low zoom levels it is intended for overviews of the national cycle network; at higher zoom levels it should help with planning which streets to cycle on. Routes in red are national cycle routes. Routes in blue are local cycle routes. Cycleways are shown in green and yellow. Toucan crossings are shown as green circles. "Following an investigation of suspected vesicular disease by Animal Health on a holding near Guildford in Surrey, laboratory results on Friday evening, 3 August indicated the presence of the Foot and Mouth Disease (FMD) virus in samples from cattle on the premises." The interactive version is now available. 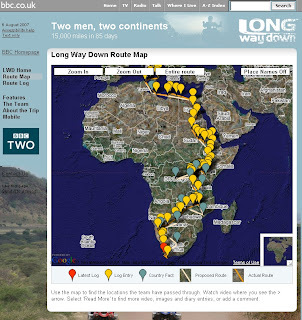 "Long Way Down is the most recent motorbike adventure with Ewan McGregor and Charley Boorman. Leaving on 12 May 2007, they travelled through Europe, and then Africa – from Tunisia to South Africa, via countries such as Egypt, Ethiopia, Kenya, Tanzania and Namibia - a total of 15,000 miles. The team arrived in Cape Town, South Africa on 4 August 2007. It is a follow-up to the Long Way Round trip in 2004, where the pair rode their motorbikes from London to New York, travelling east across Europe, Russia and the United States. As on Long Way Round, they were accompanied by Executive Producers/Directors Russ Malkin and David Alexanian." 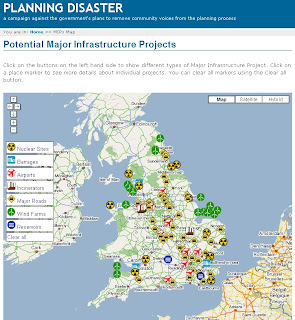 The Map that shows the location of proposed major infrastructure developments (such as airports, tidal barrages, and nuclear power sites) that may be built following a proposed change to UK planning law. "Good planning is essential for sustainable development and environmental protection. A coalition of the UK 's main environmental, conservation and civic organisations with currently over 5 million members came together out of a deep concern over many of the recommendations of the Barker Review of Land Use Planning. Having now been incorporated into the Government’s Planning White Paper, these recommendations would - if implemented in its current form - be a backwards step for the planning system"
Nice and clear icons show the user exactly what is going where. Click on the icons to reveal more information about the planned development/re-development of sites. With clickable, points lines and polygons! Click the small black arrow to close the legend to view the map in the post here. Going to JFK to New York (Google's centre point for New York) or vice versa in this example - waiting 10 minutes between requests shows two different sets of traffic and therefore adjusts the approximate time for the journey. Knowing the 'appendence' of each segment of line (road in this case) and the distance is therfore easy to work out the time it will take to cover that segment, join them up and you get an ETA of the journey. Next transitional times - incorporating walking time, trains, train stops, buses, trams as well as Traffic? 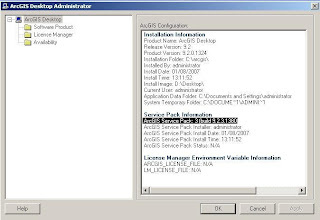 As promised by ESRI ArcGIS 9.2 Service Pack 3 is released on time.